Lightweight semi-double-cradle high-tensile steel frame, 35mm leading-axle Showa front fork offers 231mm of compliant suspension travel and Heavy-duty Showa rear shock offers 226mm of travel. Pro-Link® rear suspension with box-section aluminium swingarm, Powerful 240mm front disc brake and Lightweight rear drum brake. Maintenance-free battery, Snail-type chain adjusters for easy maintenance, Washable, reusable foam air filter, Durable body components and 7.2 litre fuel tank and thrifty four-stroke engine for long range. 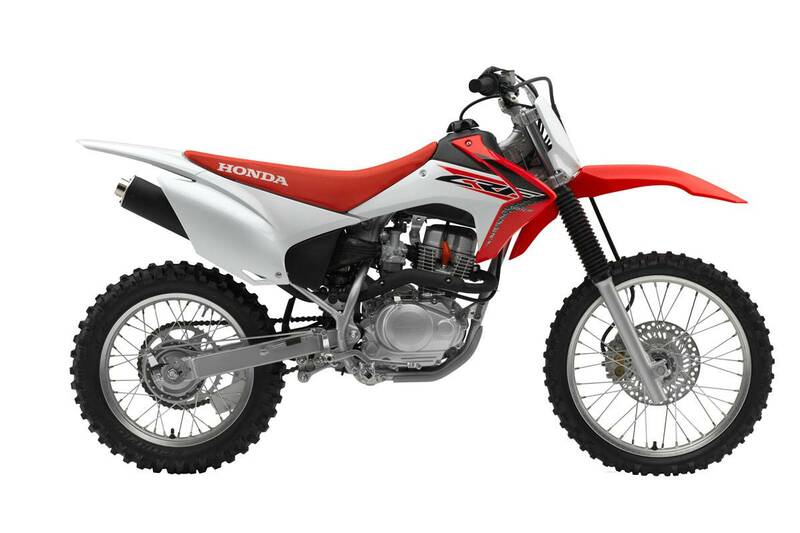 High-impact plastic skid-plate for undercarriage protection, CRF®-R inspired bodywork, Motocross-style seat is low and comfortable, and allows maximum rider movement and Cleated, folding and self-cleaning footpegs offer secure footing. Folding shift lever and brake-pedal tips, Fork boots keep dirt and moisture away from fork seals, Durable steel sprockets, Quiet, USDA-qualified spark arrester/muffler and Keyed ignition switch.